When you’re looking at phone and collaboration systems, it’s important to choose a vendor that’s reliable, proven, trustworthy and also offers technology that works for your business needs. Here are some guidelines to help you make sure you’re choosing the right vendor for your business. When researching a VoIP phone system, evaluating objective third-party resources is one of the most crucial steps in the process. Carefully evaluate the feedback from trusted sources like Gartner, who evaluate all the competitors in a given space and provide extensive feedback on the pros and cons of each company’s VoIP offering at the product level. A good evaluator will include multiple companies and give strengths and weaknesses of all. Scrutinize the feedback and make sure any review or award isn’t from a “pay to play,” company, where rankings or awards are determined or influenced based on spending money with the company. There are many, many websites dedicated to the pay-to-play space where the ranking criteria are solely based on the money each company contributes per month. It’s also why rankings may change dramatically on those sites month-after-month—so be cognizant of the integrity of the sources you use to make a decision. After you’ve analyzed analyst reports, see what your coworkers and vendor reviews say. It’s easy to pick a vendor based on your preferences, or a trusted peer’s preference. While the past experiences of you and your colleagues are indeed an important consideration factor when assessing a business VoIP vendor, it’s good to get a broader picture from IT professionals across the country (or across the world) when possible. Spiceworks is one great source for VoIP phone system vendor reviews from real IT pros. Sites like these are good sources of a mixture of vendors and reviews. Once you’ve collected all your data points, compare notes and conduct check against your wants and needs for our VoIP phone system. At this point, you have feedback from analysts, your personal experiences, and peer reviews. You’ve likely refined your list of vendors. So, what’s next? It’s important to trust your VoIP vendor to be around for the long-haul. Consider companies who have demonstrated longevity. Why? They’ve proven their ability to adapt to changing technologies, trends, market forces, economic influences, competition and even internal pressures, like organizational issues or financial challenges. There’s something to be said for companies who have been through rough times and grew stronger because of them. You can’t risk doing business with a company that will fold from external economic pressures or internal financial pressures. When your investment affects your business, you want to make sure you get the right combination of rock-solid stability and innovation to succeed. Otherwise, the amazing IT asset you invest in today could become an unsupported liability tomorrow. You can have the very best vendor in the world, but if you can’t integrate your CRM, CMS, and other systems with their VoIP phone system, then you won’t get very far. Make sure your vendor can hook into to your existing systems—both hardware- and software-based. What’s their history of integrating your applications? Ask you vendor for referrals and examples to ensure they can deliver on what your company needs. Again, you can have the very best vendor at your disposal, but if the features the vendor offers aren’t what you need, then you need to circle back and evaluate a vendor whose features more closely match your needs. Understand which features are included in the VoIP platform you’re looking at, which are extra, and which aren’t offered at all. Vendor comparison charts are helpful here. By this point, you’ve narrowed your list to a couple of key contenders. One may stand out a bit from the others, or it may still be too close to call. Does your VoIP phone system you’re considering fall into the budget you’ve allocated? Get vendor pricing from the vendor’s website, or contact them to get a customized quote for your business. Before you commit to a vendor and a product, don’t forget to get a demo with your account representative to ensure the phone system is as user-friendly and effective as you expected it to be. Demo videos are a great way to get a feel for a system. And if your proposed vendor offers it, there’s nothing like going through a custom demonstration to see if the product will work the way you expect it to. 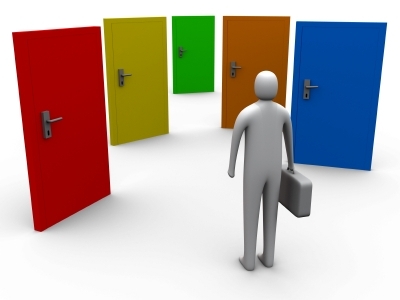 Choosing a phone system vendor is a serious decision that affects your business every day. And with ever-changing technology, it can be tricky at times. But following this checklist will help you make a well-informed VoIP vendor decision for your business. With more than 30 years of experience and multiple voice solutions to choose from, let Global CTI help you evaluate your options. Let’s start a conversation!